Rembrandt in Park Cinema Flame Towers buy tickets online. Delivery of tickets for the event Rembrandt. Every Rembrandt exhibition is eagerly anticipated, but this major new show hosted by London’s National Gallery and Amsterdam’s Rijksmuseum is an event like no other. 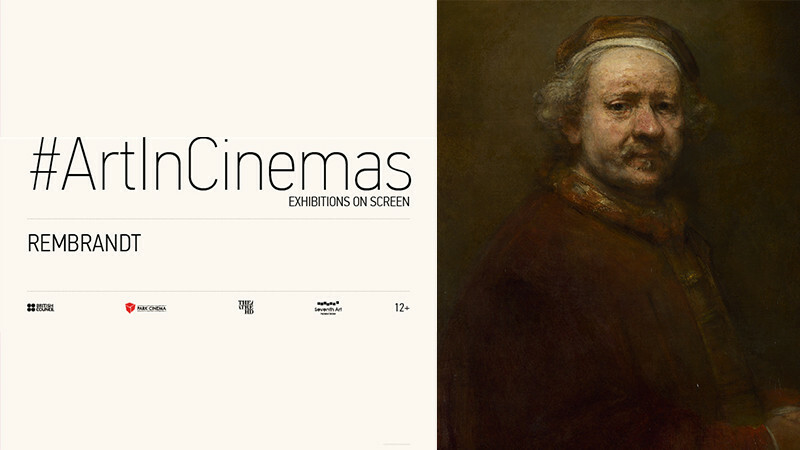 Given exclusive, privileged access to both galleries, the film documents this landmark exhibition whilst interweaving Rembrandt’s life story with the behind-the-scenes preparations at these world famous institutions. The exhibition focuses on the highlights from the final years of Rembrandt’s life, commonly thought to be his finest years. The masterpieces he produced during this period could be called his defining works, with each piece so soulful and honest that they helped sculpt our idea of Rembrandt as a man and as an artist. This film explores each of the exhibition’s key works, through contributions from specially invited guests including curators and leading art historians. For many, Rembrandt is the greatest artist that ever lived and this film seeks to explore the truth about the man behind the legend.